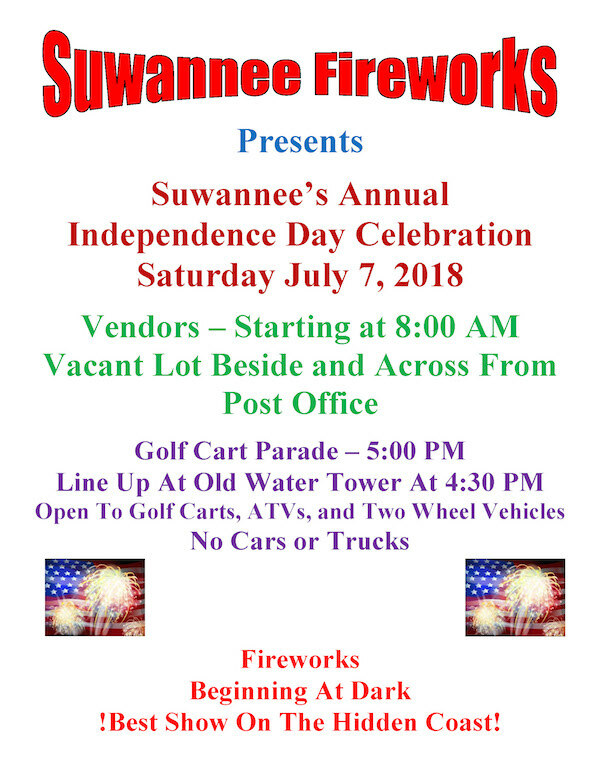 The Suwannee festival and fireworks is on Saturday, July 7, 2018. Vendors will ready for business at 9 am in the field across from the post office. The golf cart parade is at 5 pm and the fireworks start at dark.